Prayer is an important part of every ministry at Quail Lakes Baptist Church. Simply stated, prayer is communicating with God. Relationships grow with communication: the better the communication, the better the relationship. And so it is with prayer. Our relationship with God deepens and becomes more meaningful with good communication. Prayer is at the heart of knowing God, loving God, and serving God. If you or someone you know is in need of prayer, please submit a prayer request using the form below. 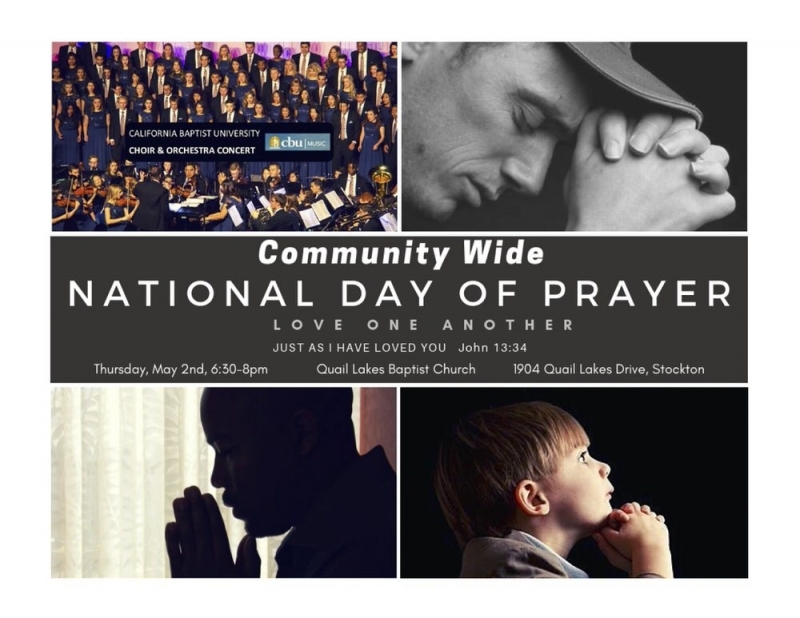 The Prayer Chain is a group of individuals who are committed to seeking God for the needs of the church at any given moment. After each Sunday Morning service, Prayer Counselors stand near the organ in the front of the sanctuary waiting and praying for those who come forward for prayer.